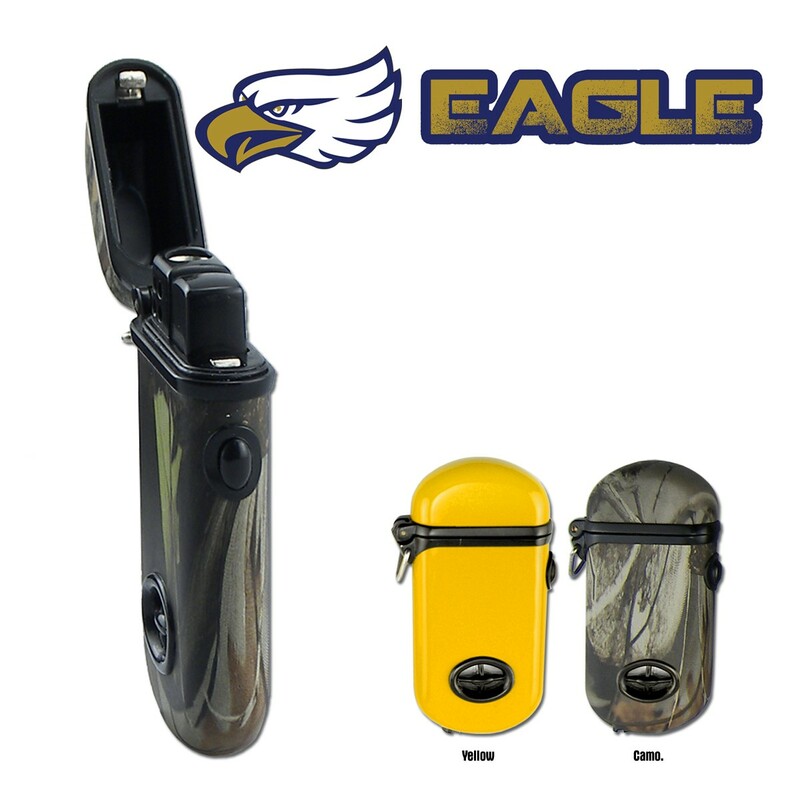 The rugged metal case of The Eagle™ makes this the perfect lighter for the outdoorsmen. The windproof design insures reliable lighting even under the most demanding conditions. 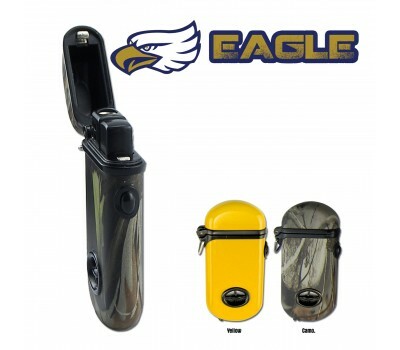 Compact and light weight The Eagle™ travels easily to any destination. Features a 2500ºF turbo flame, piezo electronic ignition, fuel level sight glass and flame adjustment screw. Available in camouflage green or an easy to locate bright yellow. Subscribe to our newsletter to see upcoming shows, events, and latest news. © Copyright 2015 BlazerProducts.com All rights reserved.